I buy Haas avocados whenever they go on sale. Haas are the only avocados I buy because quite honestly they are the best. I was planning on making ground chicken and turkey meatballs for dinner and to freeze some today. My one complaint about ground chicken or ground turkey breast is the dry factor. The meatballs tend to be dry, it makes them far from appetizing. Well, this morning while thinking through my options to make them more moist (add cream, add tomato paste, add grated zucchini, add mushroom duxelle-all favorite tricks of mine to make more juicy tender meatballs), I thought, why not run some avocado through the food process and add it to the ground chicken & turkey mixture to give it some fat & moisture. So I did! I think the result was fabulous. Here’s another trick-freeze your avocados, yep that’s right, freeze em. 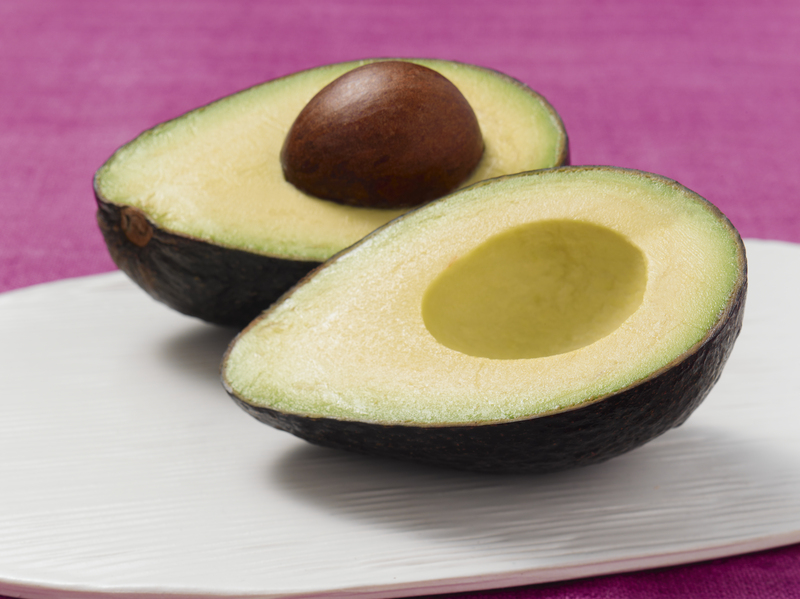 Cut them in half, take out the pit, spritz them with lemon juice and vacuum pack the avocado halves. Once thawed you can proceed with your recipe AND that is the end of wasting avocados because you just weren’t in the mood for guac one night. Also, avocados are great in muffins replacing bananas or applesauce. Chocolate ones are my favorite. For the ground chicken and turkey breast meatballs, I used on avocado (previously frozen), 2 eggs, 1/2 cup fresh bread crumbs and 2 lbs of a combination of ground turkey breast and ground chicken breast. Add 10-oz of chopped spinach, season to taste and away ya go! Visit http://www.avocadocentral.com for some delicious recipes! Welcome to The Cooking Studio Online! I’m a Chef with 30 years of culinary experience. I have had several questions about my career as a Personal Chef, owner of a Meal Assembly Business (I’m in a 12 step MAK program to free myself from the industry! )my experience in developing menus, my test kitchen and my experience as a Corporate Executive Chef. I have been through some harrowing experiences in my day, but my foray into Bankruptcy Court was indeed the most harrowing and devastating experience so far. I would be happy to answer any question EXCEPT for my experience as a Meal Assembly Kitchen owner…this is a meals assembly kitchen free zone, there are other places where you can get those questions asked and answered, this is not one of them, sorry. My advice is to go to http://www.mealassemblywatch.com or unhappyfranchisee.com to find answers and ask questions. This is a place where I will do my professional best to answer any cooking questions I can and give you a place to share your recipes, decorating and meal ideas. Food is my passion and my creative outlet. Welcome new friends! Ask away! Pasta with Cajun Blush Sauce, Grilled Pesto Chicken Strips and Chicken Andouille Sausage. Cooking Klatche for Busy Moms & Wives!